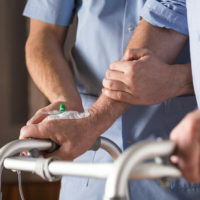 The tragedy that unfolded at one Florida nursing home has led to an entire cultural shift in how we ensure that our elderly loved ones and free from nursing home abuse and neglect. Specifically, during Hurricane Irma, the Rehabilitation Center at Hollywood Hills lost power, and 14 patients died. As a result, communities like those of North Miami Beach are coming together to vow that the proper precautions be taken to prevent those same deplorable conditions. For other families, filing lawsuits for negligence and wrongful death is the path they’ve taken to seek justice for their loved ones. One of the practical measures that could have been taken by the Hollywood Hills facility involved getting residents to a hospital rather than allow them to live in insufferable heat for days on end. Since then, the conditions at that particular facility have been found to be so shocking that the Centers for Medicare & Medicaid Services terminated the home from the Medicare program, noting that the facility failed to meet the program’s basic health and safety requirements. Lawsuits have also already been filed by some families who lost their loved ones in the tragedy at Hollywood Hills, pointing out that not only did the facility fail to provide proper air conditioning, but staff there also failed to place timely calls for emergency assistance. Other families are filing negligence suits after their loved ones survived, but who are now in critical condition due to a lack of proper care. Many are left asking: Why didn’t staff just call 911? Additional details revealed by the lawsuit are nothing short of alarming: Instead of evacuating the patients to the hospital right across the street, they were reportedly wheeled into the hallway, undressed, and left to remain there. In order to prevent this from happening again, Florida legislators are introducing legislation which mandates that facilities like these receive the resources they need in order to have a backup generator or other power source so that senior citizens are protected from severe weather conditions. Another bill introduced would direct FEMA, the federal agency in charge of emergency response, to prioritize providing assistance to these types of facilities in response to major disasters like Hurricane Irma. There is simply no excuse for any nursing home to fail to provide such basic necessities as air conditioning for the elderly. If you or a loved one has suffered as the result of abuse or neglect in a nursing home, we can help. The personal injury attorneys at Friedland & Associates are committed to being here for you and your family. Contact us today for a free consultation.